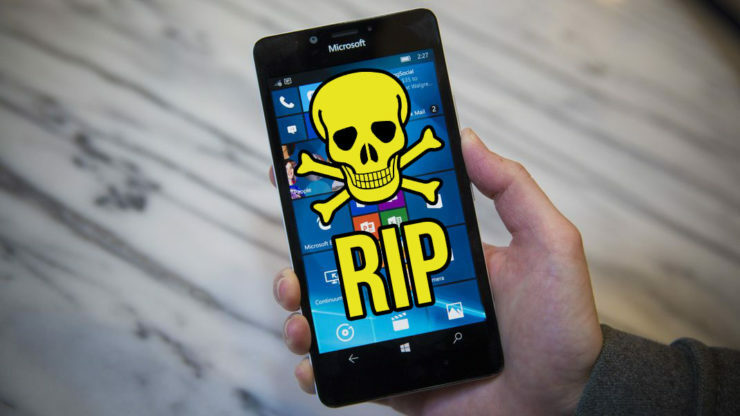 RIP: Windows Phone is Officially Dead | OhGizmo! By Randy Donack on 10/10/17 • Leave a comment! What started as an effort to compete against giants iOS and Android in the smartphone marketplace has concluded with Microsoft announcing that they’re done working on new Windows Phone hardware. It’s sad, well a little sad. Windows Phone could’ve been great but never quite made much of a splash. Let’s take a look back at the forgotten phone OS and what could’ve been. The Nokia Lumia 920 was the closest I ever came to owning one of the ill-fated phones. It had good specs that finally let it compete with the latest android phones as well as a great design, but it just never felt as solid as an Android or iOS phone. There just wasn’t much of an app ecosystem and that really hurt sales. With an iPhone you can download any app to do just about anything, while Windows Phone users were lucky to have the most basic apps available. No matter what, plenty of Windows Phones were built well and had really nice features, but sometimes, really nice just doesn’t cut it. Goodnight Windows Phone, we hardly knew you. Also, that godawful Metro UI.